California based Swipe Telecom launched Swipe 9X Fablet in the Indian market for ₹ 8,999. The Swipe 9X has 4.7-inch HD Capacitive Multi-touch display, 1 GHz Dual-Core Processor, 512 MB RAM, Dual SIM, 8 MP rear camera and 2 MP front camera. Swipe 9X runs on Android 4.0 Ice Cream Sandwich. 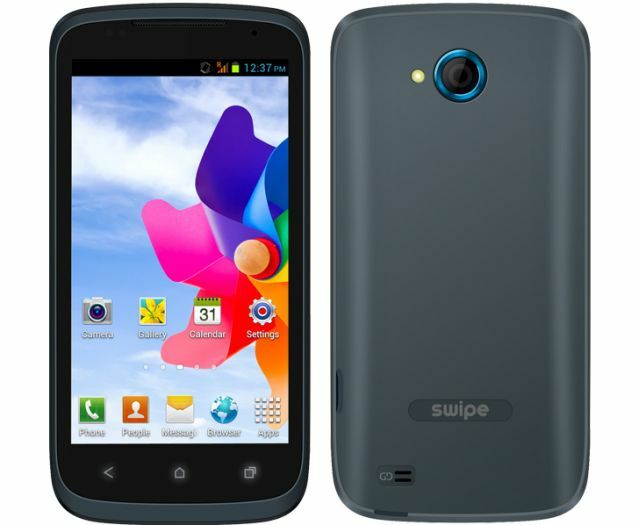 Swipe 9X supports Micro SD Card up to 32 GB and it is powered by 2000 mAh Battery. It comes loaded with Bluetooth, Wi-Fi, FM Radio, Gravity Sensor, Range Sensor, Torchlight and A-GPS. Low-end and Mid-end market flooded with many Smartphones with decent specs. Currently Micromax ruling with its Canvas series which recently crossed 1 Million mark in the India. In the Box: You’ll get fablet, Data Cable, Charger, Warranty Card, Battery, Headset, Tablet, User Manual and Service Center List.